Only two players from the professional LFB team roster of last season are still with the club next season. Clarisse Costaz, who is on a 2-year contract, and Lenae Williams, who has signed for another season, are the only players left. Touty Gandega (left) who played for the Paris Basket team that ruled the youth scene in France from 2004 till 2006 and who only joined the basketball academy (centre du formation ) last season will be part of the professional roster for the coming season. Hervé Coudray who became interim head coach during last season has officially been appointed as the head coach for the coming season. Caroline Aubert is back at the club after a short spell in Russia and maternity leave. Aurélie Bonnan (right) has left Lattes Montpellier after two seasons. Pauline Thizy also from Montpellier and Yacine Séné from Aix-en-Provence have also signed for USO Mondeville for the new season. Marion Pujos, who had played for Mourenx before they went into liquidation, was a member of the youth team that finished 3rd in the U15 2005 French national championship. Last season she played at Pac Lacq Orthez. Pujos comes from the 1991 generation of players. Fanny Cavallo who had left the CFBB last season to join Aix-en-Provence is the last youth player on the roster for the coming season. The last signing is an American, Britany Miller (left). Hervé Coudray follows the NCAA Basketball and would have followed Miller’s career. She attended Florida State University and made the freshman team for the ACC conference in 2006. 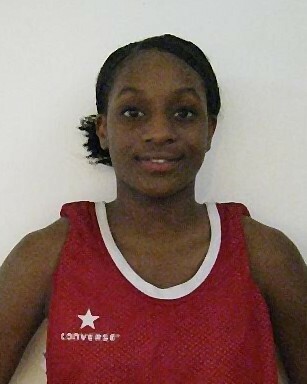 She left university last year and played in the Czech Republic for Valosun Brno. She was the number 18 draft in the WNBA last season and played only 1 game for Detroit.